Commissioning - Rice & Gardner Consultants, Inc.
At Rice & Gardner Consultants, our dedicated team of Commissioning Agents (CxA) proudly lead the industry with their expertise, attention to detail, and a proven track record for excellence. We partner with clients throughout the Houston, Texas area, offering dedicated building commissioning services that provide the information and tools needed to achieve full system functionality and adherence to all testing, training, and documentation requirements. We offer comprehensive commissioning, engaging from design concept through project completion, as well as retro-commissioning services which involve existing facilities that have never been commissioned, and re-commissioning of older facilities. With these full-service commissioning capabilities, we can handle any and all levels of demand. You can be confident that our experienced Commissioning Agents (CxA) will lead your project with a meticulous, systematic approach that ensures all building systems are properly installed, are functioning correctly, and are operated as intended according to all contract documents. We’ll also provide any required deferred and seasonal tests, as well as make sure that your contractors provide the correct documentation and training for all staff. 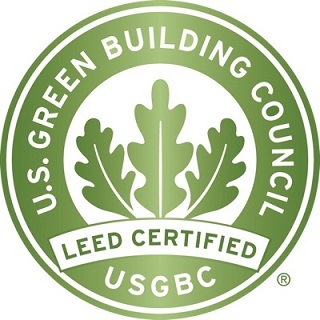 If your facility or project is seeking LEED certification, Rice & Gardner Consultants is the expert partner you need. We have a history of success in leading projects to LEED certification, providing our expert LEED commissioning services every step of the way. Our staff consists of not only Commissioning Agents (CxA) but also LEED AP’s who are well-versed in what it takes to achieve certification. Our team’s level of expertise stands far above many other firms in the Houston area.